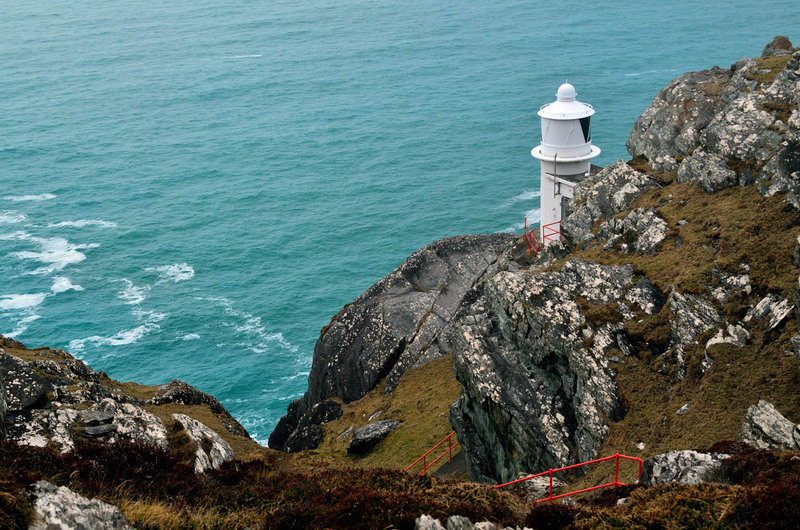 After driving along very narrow and windy Irish roads followed by a 2 kilometer hike along cliffs and over swampy bogs we came to this picturesque lighthouse overlooking the Atlantic Ocean. It was definitely worth the effort! Throughout Ireland are 100’s of stone circles that were built back in the bronze age, between 1400-800 BC. Nobody knows for sure what their function was, but many scientists have speculated that they were associated with religious rituals that may have used observations of the moon and sun. Many occultists believe that these stone circles were used by mystical priests to concentrate their power in order to do magical rites. They believe that the druids at that time possessed knowledge and powers that have since been forgotten over the passing of time. As for us, we’re just American tourists and don’t really care what it was used for. But the thought of concentrating power and having some magical fun sounded intriguing. I mean, we have all seen the Harry Potter movies so how hard could it be. So, we went off in search of one. 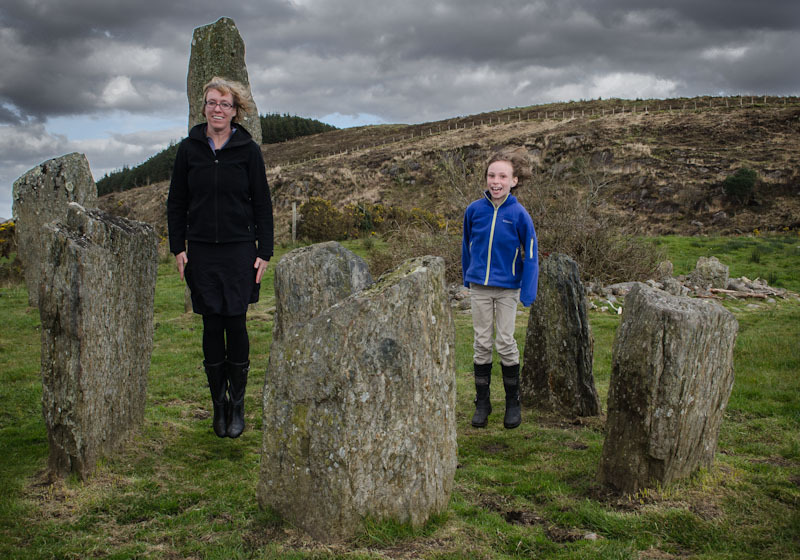 In trying to find one close to the town of Bantry we found Kealkil Stone Circle just a few kilometers away. 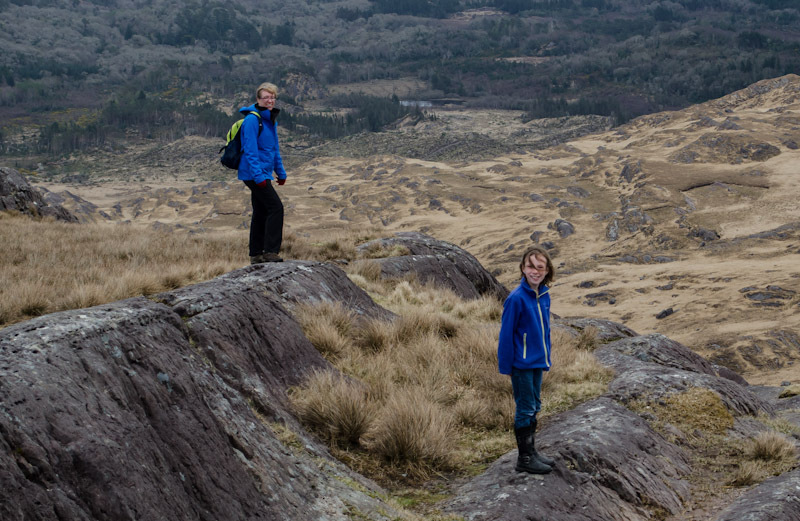 We drove our car up to the top of a hill and had to go hiking out over a muddy bog to get to the circle. 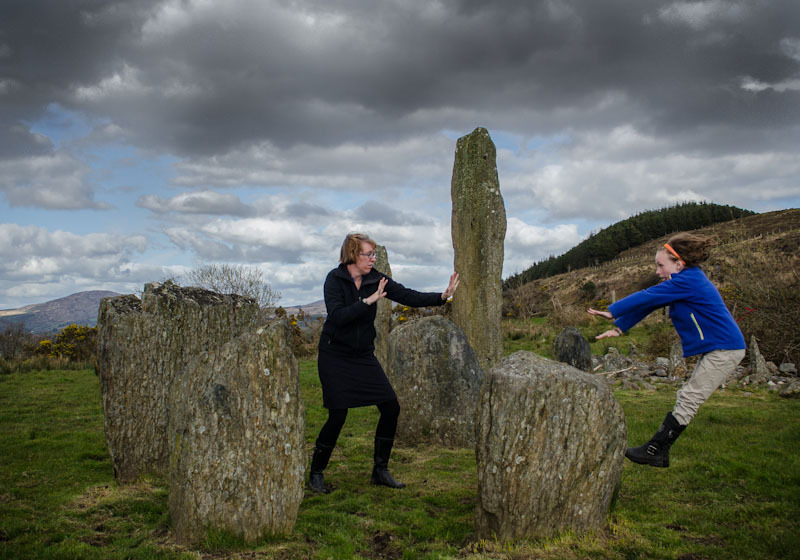 Once at the stone circle we thought we would start out with some simple magical exercises to warm up. Levitating sounded the simplest, so we practiced levitating. Easy peasy! After warming up we thought we would try some more advanced magic. After using the stone circle to concentrate our abilities we were able to send each other flying. I bet every parent wishes they could send their kids flying at will. “Go to your room!” BAM! 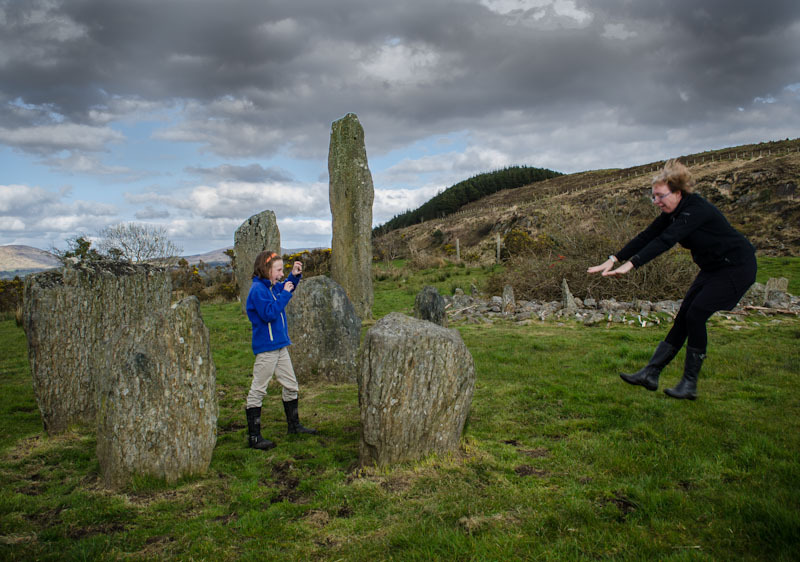 Using the power of the stone circle to send Sydney flying backwards… every parents dream! After I went, Sydney thought she would get revenge on mom for making her eat vegetables. BAM! So easy even an 8-year old girl can do it. 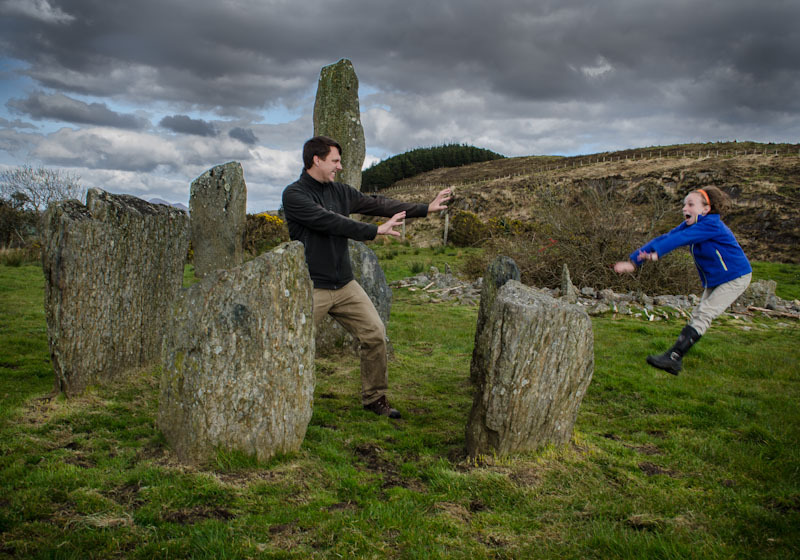 We really have no idea why the scientists can’t figure out what these stone circles were used for. Maybe they just don’t believe in magic. I went to Blarney Castle in Ireland. The castle was awesome! 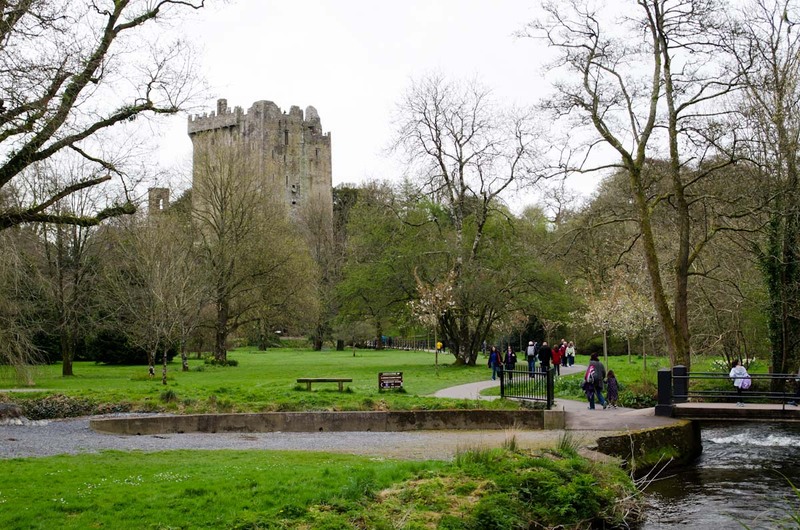 Do you know about Blarney Castle? 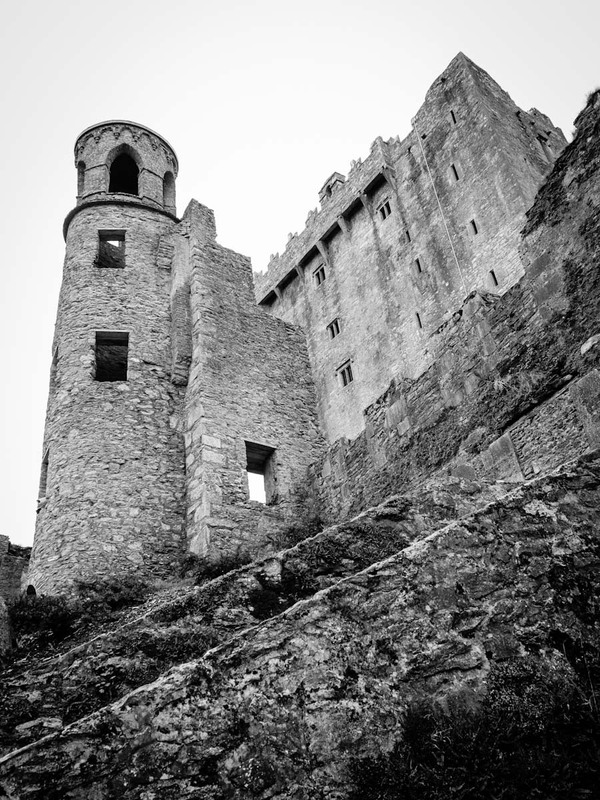 I am going to tell you about Blarney castle. It was built around 600 years ago. It had tiny, windy steps. They are called trip steps because the steps are uneven so the attacker will trip. There were guardrooms in the castle. The guards slept and lived their life in a really tiny room. The walls were plastered. The plaster was made out of animal blood, horsehair and limestone. The windows usually were made out of animal skin, because glass was really expensive at that time. To make the ceiling they weave willow sticks together to hold the blocks of rock then they put the blocks of rock on top of the woven sticks. I liked the kitchen best because it has a great view. 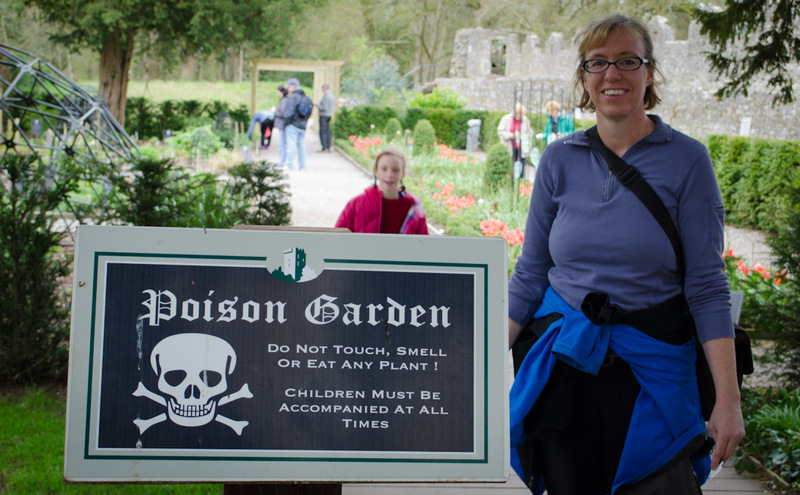 They even had a poisonous garden. 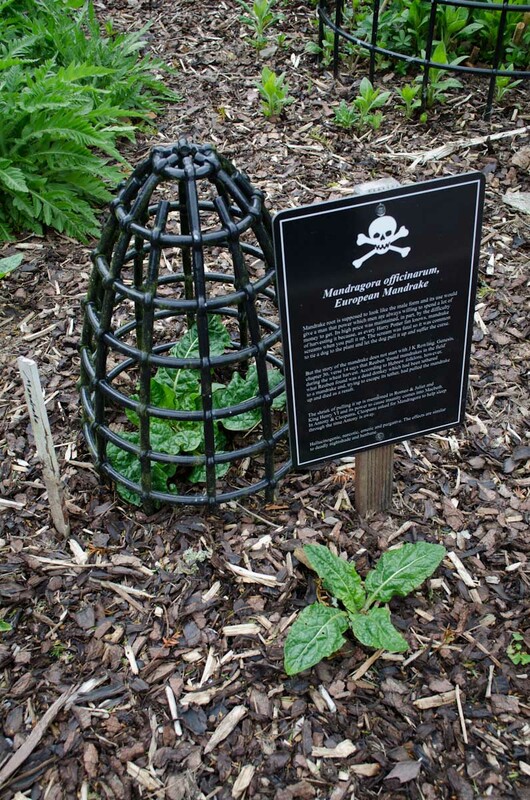 Did you know that mandrake and wolfbane are real plants! Those plants are actually in the movie Harry Potter! 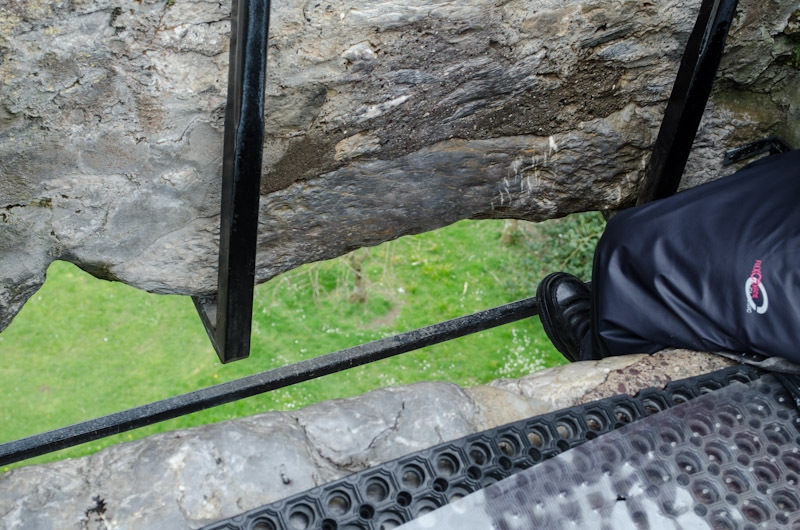 I kissed the Blarney stone. I did not want to kiss it, but my mom and dad made me kiss it. 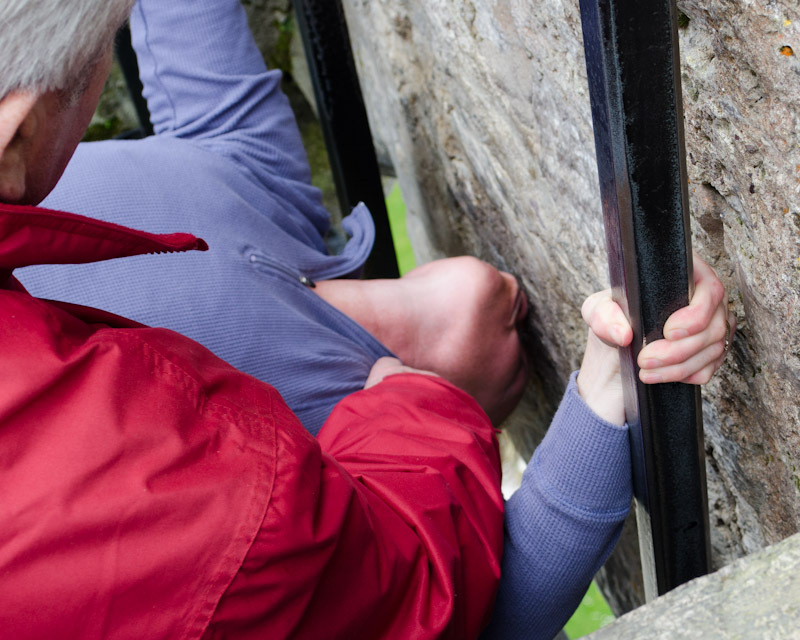 It is nasty kissing the Blarney Stone. If you kiss the stone then you get the gift of gab. Do you know how it got its’ name? There was a chief and he was the owner of the castle. The queen wanted him to go do something but he kept writing this long list of reasons why he could not do them, of course they were not true. Finely the queen got angry and said, “YOU ARE FULL OF BLARNEY!” That’s how the rock got its name. You can kiss the stone. The stone was a toilet in medieval times. You have to hang upside down to kiss the stone. The castle is located in County Cork. The castle has great views. 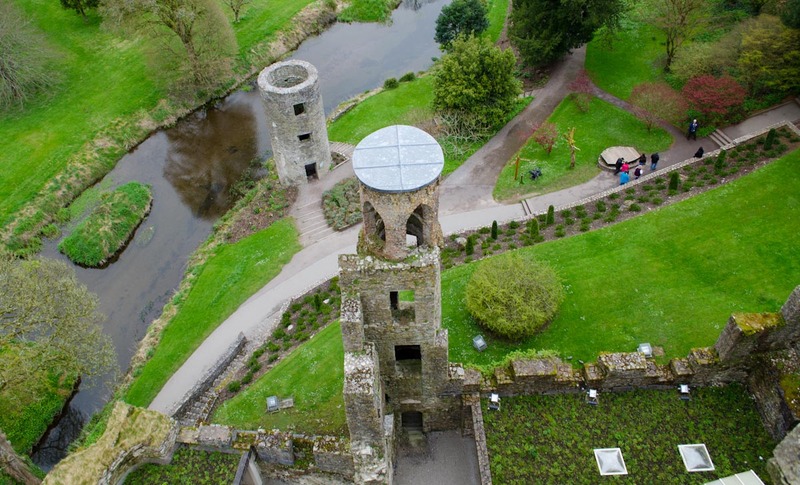 Now you know about Blarney Castle! 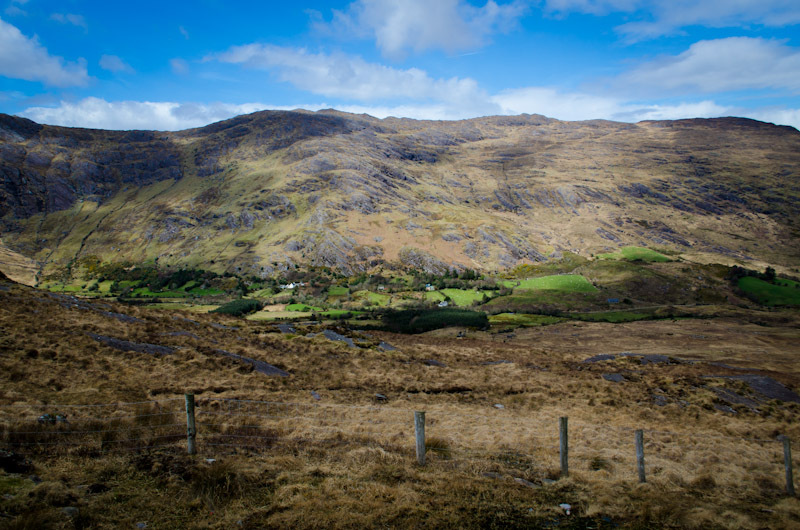 During our stay in Ireland I have been thinking about my family history. My maiden name is Foxx and the extra X was added long after my ancestors immigrated to the United States due to a banking error. But that is an entirely different story. Anyway, family lore tells us that my dad’s great, great grandfather is from Ireland. My parents, wanting to celebrate our Irish heritage, chose Irish names for my sisters and I: Alison, Erin, and Kerri. As a child, my parents told us stories about the Foxx ancestors, how our original name was O’Fox and that the O was dropped upon immigrating to the US. My parents also told us that our ancestors immigrated during the potato famine like so many other Irish. In 1998, my parents took a trip to Ireland to retrace the Foxx Irish roots. When our around the world adventure’s brought us to Ireland, my mother sent an email with photos sharing their journey. After reading my mom’s own search for family history I realized that one of the joys of traveling is not just about seeing new places, but also discovering one’s roots in those places. Knowing your family roots also helps to bring history to life and helps to define who we are and how we perceive the world. So, I thought I might share my own family history. Story as written by Teralene Foxx. 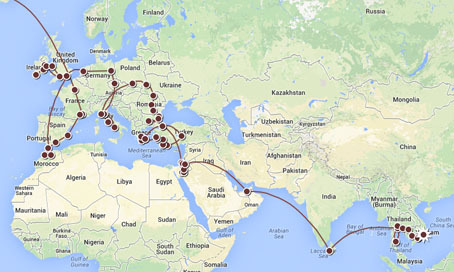 The importance of understanding our heritage and the underlying stories are one of the reasons to travel and to search. Learning our stories is a way to fill a void. Stories of those who came before us help us understand who we are, can heal the past, and gives us connections. As a Master storyteller, I am particularly interested, not just in a series of charts identifying patrilineal or matrilineal relationships, but the stories about where those that came before us lived, their traditions, myths and lore. My question always is “why?” Why would they leave their homeland? Why would they risk leaving what is known for the un-known? Too often as children, we hear the family stories and groan with boredom, not realizing their richness, their exaggerations, their mysteries, and their truthfulness. My husband’s, great, great grandfather was Barney Fox born in Cork County, Ireland possibly about 1837. He came to the United States between 1846 and 1850 with his mother Mary and four brothers during the Irish famine. The family tradition has always been that his name was O’Fox and that the “O” was dropped when they came to the US because of discrimination of the Irish. 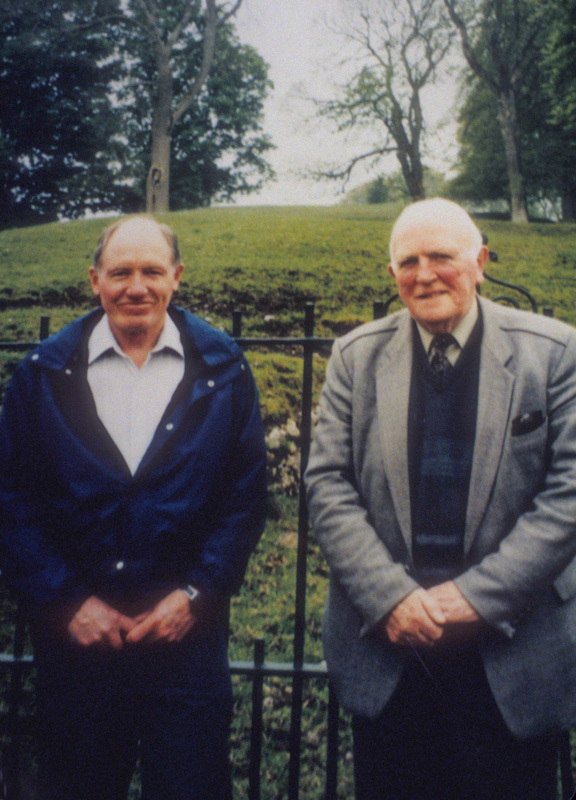 Our trip to Ireland, in 1998, allowed us to begin to search out and confirm some of the family tradition. This was not only a quest but also an adventure in finding our way through towns and cities, maneuvering narrow roads, suppressing nervousness when tractors or buses took over the roadway. 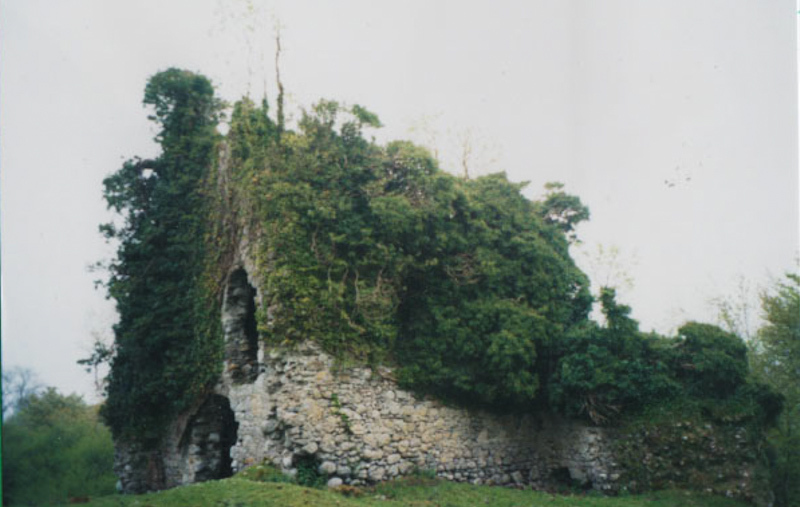 The story goes that in 1171, an Englishman built a castle on a Celtic shrine. This act of sacrilege so enraged the native Irish that they took up arms, and one O’Cathanaighs killed the Englishman. He escaped in the woods of Clara where he eluded the English for many years and became known as “the fox.” The title has been passed to the eldest son in each generation since. Whether Barney was related to this set of Foxes is a mystery. Was the “0” dropped when they came to the US? Again, we don’t know. Regardless, I guess there are times that someone can be the son of an animal. The story is wonderful even if it is not part of our family history. Later, we learned there was a Fox castle in Clara and searched it out. The town historian of Clara at the time, Mr. Kenney, gave us a wonderful tour. As my husband stood next to Mr. Kenney, I saw the Irish resemblance. More recent research suggests that Barney’s parents came from the north of Ireland rather than County Cork as suggested by the family story. We are continuing to try and puzzle out the story. Unfortunately, our travels will not take us up to County Clara to visit Fox Castle or some of the other places my parents explored in 1998. 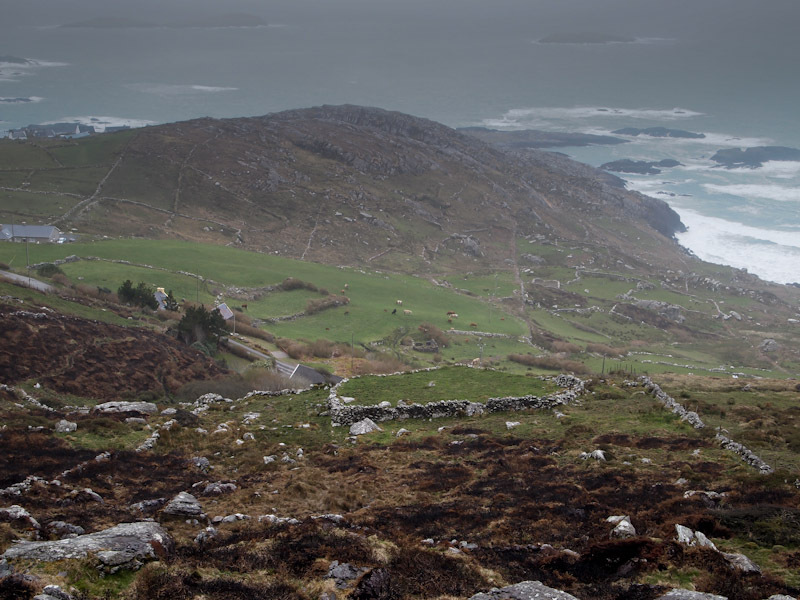 Despite this, my family story has helped enrich my travels through Ireland. As we have passed by the many famine houses I can imagine how hard life must have been in Ireland for my ancestors. Those houses are incredibly small, usually consisting of one room for an entire family. I can also imagine the desperation felt given the limited options of either immigrating to somewhere unknown or starve to death. 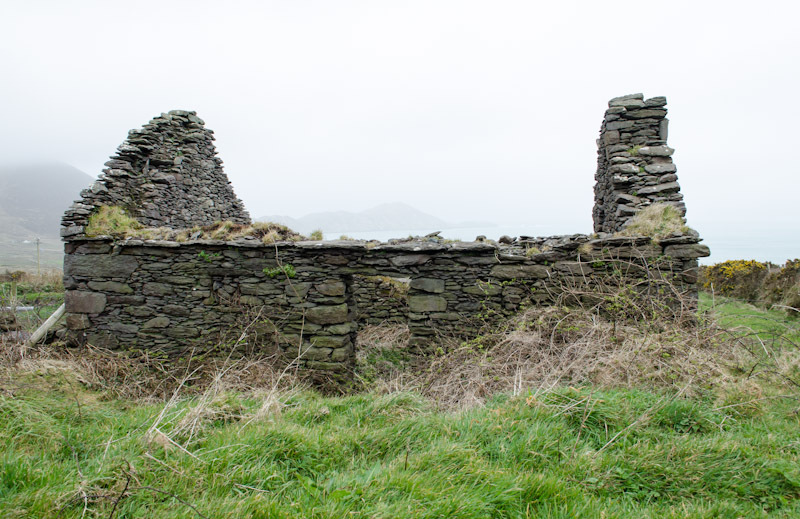 How heartbreaking it must have been for my ancestors and the millions of others who immigrated to the US during the potato famine, as they must have known that once they left they would never hear or see their family again; let alone return to Ireland. The family story of Barney Fox is only one of several passed on in our family from one generation to the next. Over the next 18 months, I am looking forward seeing some of the other places that I have only heard about in our family stories. 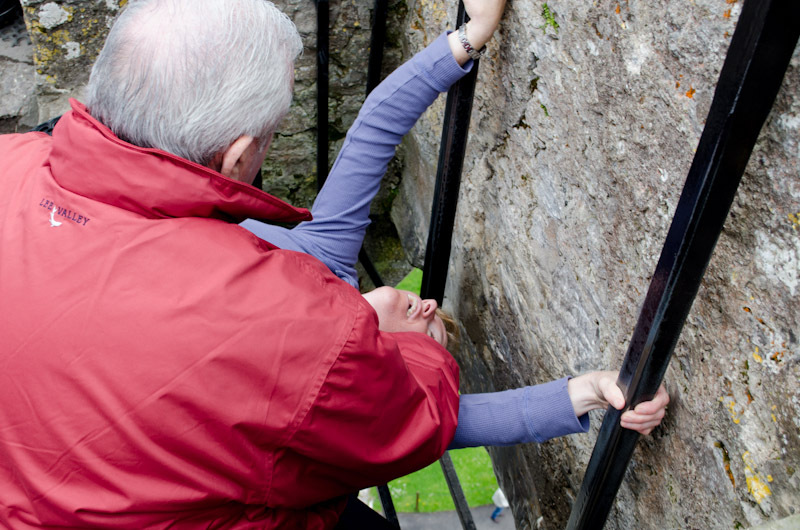 Long before coming to Ireland I had heard about the stories of how the locals would pee on the Blarney Stone at night and have a good laugh when the tourists would line up to kiss it in the morning. I always laughed about it until we arrived to Ireland and were told by a tour guide in Dublin that that little story is in fact true. 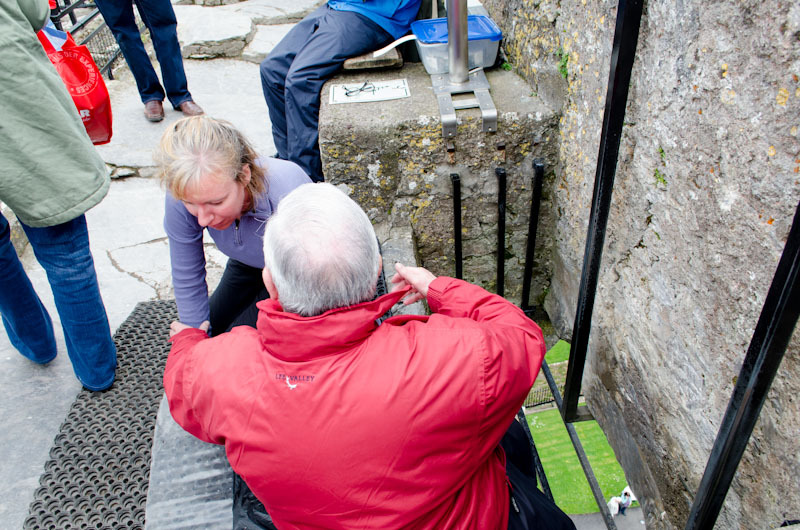 But even more disgusting is the little known fact that the Blarney Stone was once the deflector stone at the bottom of a toilet. And they charge people to kiss this thing? 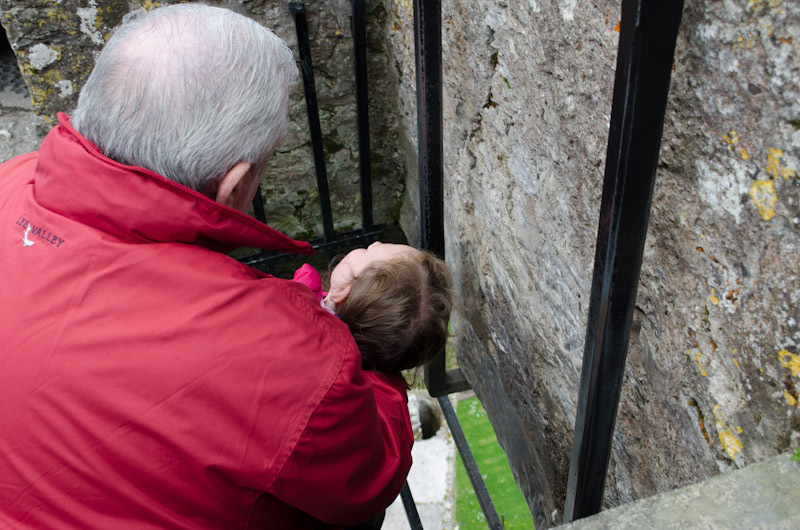 There was no way that I was going to leave Ireland without putting my lips on a chunk of rock at the top of a castle, in the bottom of a hole, that has had 100’s of years of urine, feces, and tourist slobber all over it. I mean, you can’t go to Egypt without seeing the pyramids, so why would I miss kissing the Blarney Stone when visiting Ireland. That might be a bad comparison, but you get the point. So, this week we took the drive over to the little town of Blarney outside Cork and paid a small fortune to see Blarney Castle and to kiss the Blarney Stone, aka “potty rock.” The castle was really impressive looking as we zoomed past the other tourists on our way to the top of the castle. 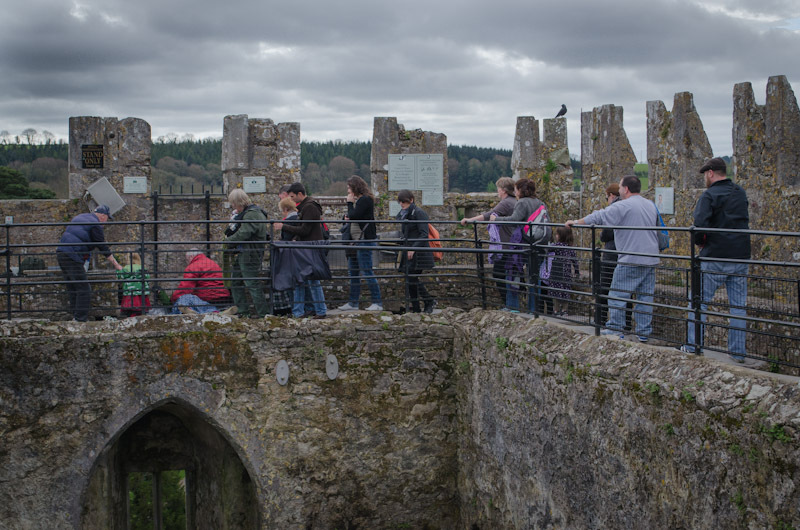 The weather had been very volatile and the top of the castle and the Blarney Stone is exposed and it could have been a really wet wait if it had started raining. Fortunately, it did not rain and there was no line for the Blarney Stone. Our lucky day… or was it? 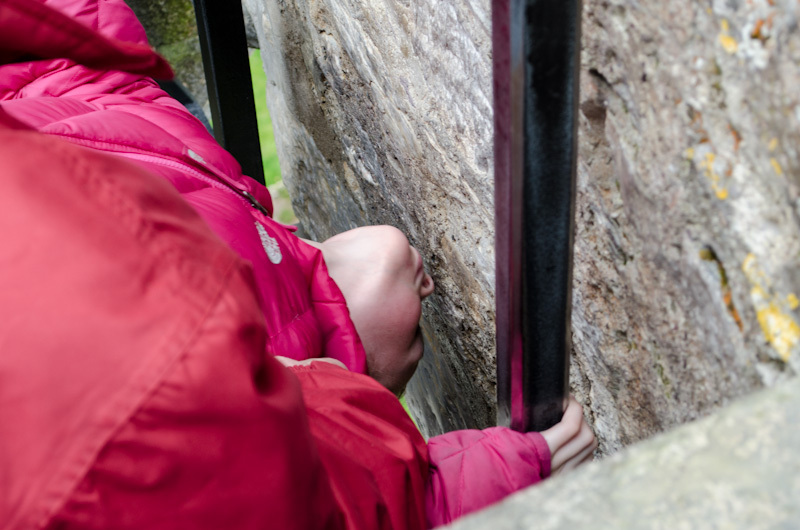 Our 8-year old daughter, Sydney, was refusing to kiss the stone. I guess years of telling her to wash her hands and to avoid germs had really paid off. Because now we wanted her to forget all about the hygiene conditioning and to put her lips on what has got to be the dirtiest, nastiest, and most disgusting rock in Ireland. After much prompting, she finally agreed and got lowered down into the hole and kissed the rock. Next was my turn. As I was lowered down into the position that 1000’s of others had been in before, I decided to do something different. Instead of kissing the same spot that 1000’s of germy lips had been on I moved my head sideways and kissed the stone in a less-kissed spot. It was moist. Yuck! After coming back up I pulled the alcohol based hand sanitizer out of my pocket and liberally applied it to my lips and to Sydney’s lips and offered some to Kerri.